TH, s.r.o. 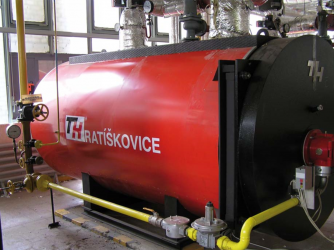 provides the comprehensive development, construction, production and sale of boilers and boiler equipment. At the same time, it provides delivery completion, commissioning, warranty and post-warranty service. 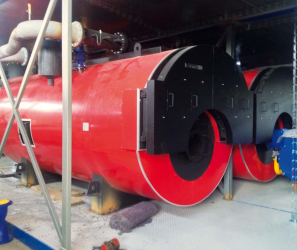 The company’s product range includes warm-water, condensing, hot-water, low-pressure and medium-pressure steam boilers, and special flue-gas heat exchangers, as well as adapted thermal technical components such as burners, controls, distributors, pumps and other technological equipment. The comprehensive, broad production program at the Ratíškovice plant will satisfy most customers’ needs. We can resolve any non-standard customer requirements through custom production. Triple-pass design, with a flue, cooled reversing chamber sealed with a water wall, an internal injector for raising the return water temperature and two passes of annularly arranged fire tubes. Triple-pass design, with a flue, a cooled reversing chamber sealed with a water wall, an internal injector for raising the return water temperature and two passes of annularly arranged fire tubes. 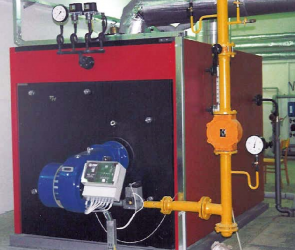 Triple-pass design with a flue, a cooled reversing chamber, two fire tube passes and a fume collector.